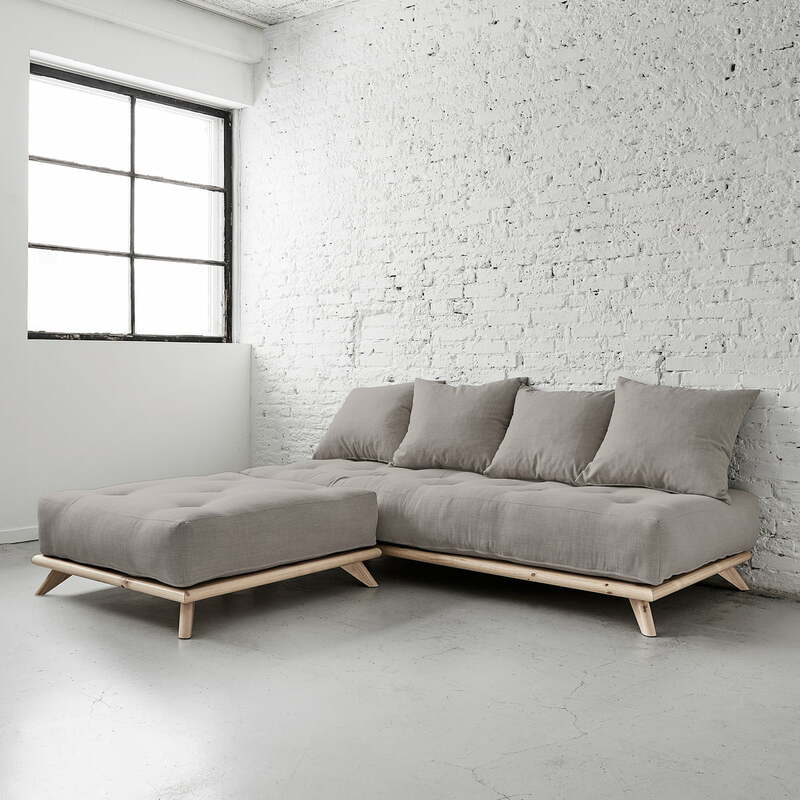 The Senza sofa by Karup is a daybed, which becomes a sofa with four large cushions. The daybed consists of a low wooden frame with comfortable futon. When removing the cushions, the sofa is transformed into a comfortable bed to relax or for overnight guests. As addition, there is an ottoman which transforms the sofa into a comfortable corner sofa when combining the two. The frame of the Senza sofa consists of FSC certified wood, which is available in various colours. The filling of the mattress consists of a foam core and an 8 x cotton mix. The fabric, which is available in various attractive colours is made from polyester and cotton. In addition, four matching cushions that serve as a backrest, are included. Further colours and fabrics are available on request. 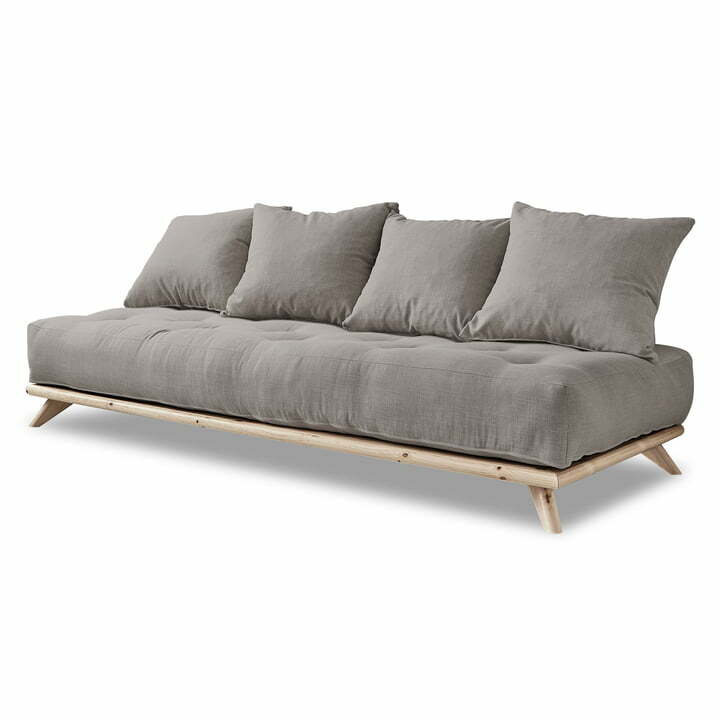 Individual product view of the Senza sofa by Karup in untreated pine wood with futon and pillows in granite grey. The frame of the Senza sofa is made of FSC certified pine wood. Group picture of two Senza sofas by Karup in pine nature / granite grey. Two Senza sofas together result in a generous corner sofa for the whole family. 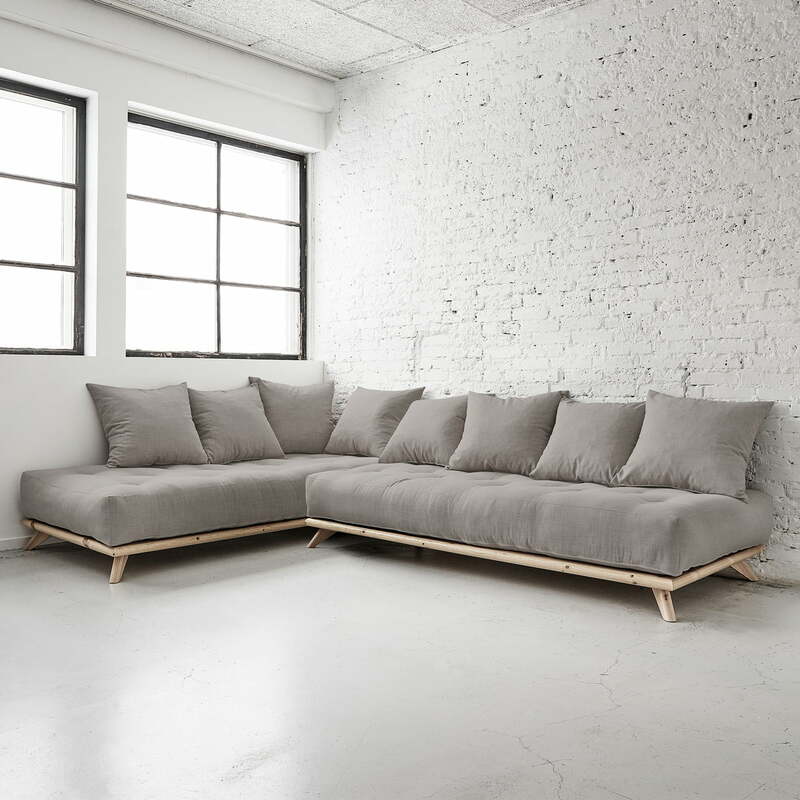 The frame of the Senza sofa is made of FSC certified pine wood. The filling of the futon consists of a foam core and cotton. The cover is made from polyester and cotton. 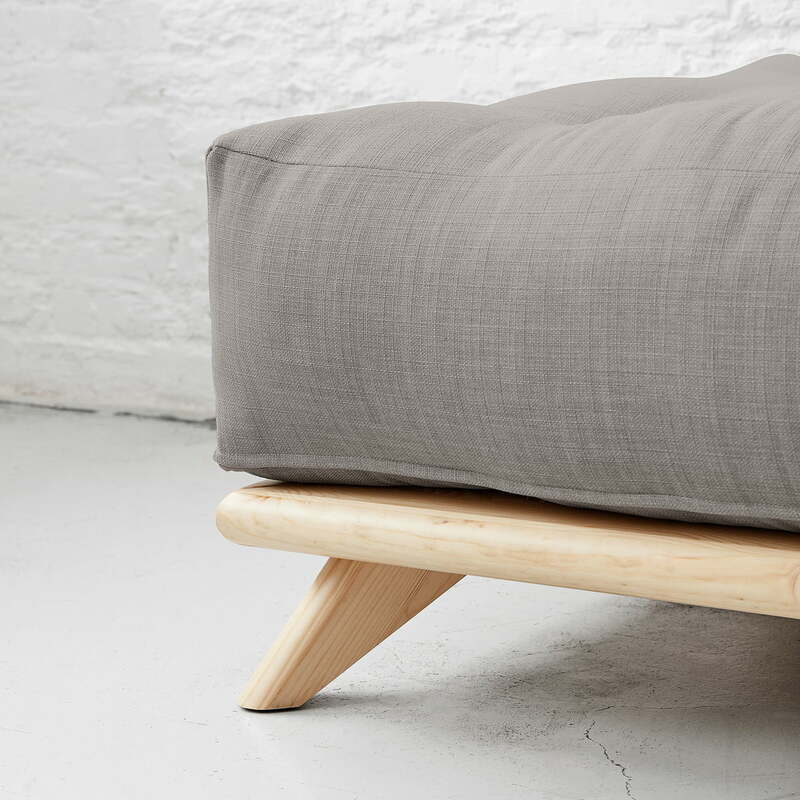 The daybed consists of a low wooden frame with comfortable futon. There is also a matching Ottoman available, which is used in combination with the bed to form a corner sofa. When removing the cushions, the sofa is transformed into a comfortable bed to relax or for overnight guests. With two Ottomans Senza is to a large comfortable surface to relax on.